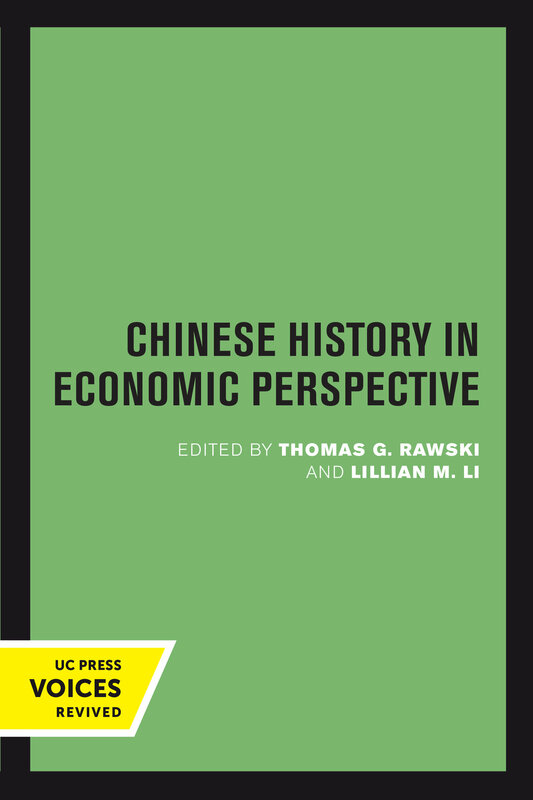 This volume marks a turning point in the study of Chinese economic history. It arose from a realization that the economic history of China—as opposed to the history of the Chinese economy—had yet to be written. Most histories of the Chinese economy, whether by Western or Chinese scholars, tend to view the economy in institutional or social terms. In contrast, the studies in this volume break new ground by systematically applying economic theory and methods to the study of China. While demonstrating to historians the advantages of an economic perspective, the contributors, comprising both historians and economists, offer important new insights concerning issues of long-standing interest to both disciplines. Part One, on price behavior, presents for the first time preliminary analyses of the incomparably rich and important grain price data from the imperial archives in Beijing and Taibei during the Qing Dynasty (1644–1911). These studies reveal long-term trends in the Chinese economy since the seventeenth century and contain surprising discoveries about market integration, the agricultural economy, and demographic behavior in different regions of China. 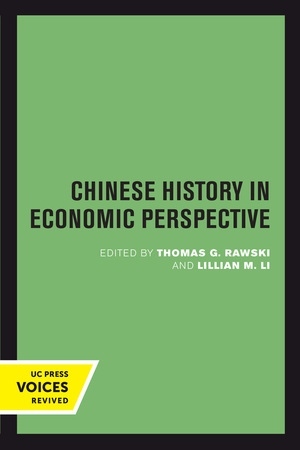 The essays in Part Two, on market response, deal with different aspects of the economy of Republican China (1912–49), showing that markets for land, labor, and capital sometimes functioned as predicted by models of economic "rationality" but at other times behaved in ways that can be explained only by combining economic analysis with knowledge of political, regional, class, and gender differences. Based on new types of data, they suggest novel interpretations of the Chinese economic experience. The resulting collection is interdisciplinary scholarship of a high order, which weaves together the analytic framework provided by economic theory and the rich texture of social phenomena gathered by accomplished historians. This title is part of UC Press's Voices Revived program, which commemorates University of California Press’s mission to seek out and cultivate the brightest minds and give them voice, reach, and impact. Drawing on a backlist dating to 1893, Voices Revived makes high-quality, peer-reviewed scholarship accessible once again using print-on-demand technology. This title was originally published in 1992. Thomas G. Rawski is Professor Emeritus of Economics and History at the University of Pittsburgh. Lillian M. Li is Professor Emerita of History at Swarthmore College.